Tis the season for cooking, cleaning, stressing, going broke, seeing folks you would rather not be related to and generally being stressed out. The holiday season already carries a great deal of emotion with it, from the feeling we get when the weather changes, to anticipating visitors, both welcomed and otherwise, emotions tend to run high around this time of year. For all the season’s greetings, we have so much on our plates sometimes that it’s hard to find the cheer in this season. But there are a number of ways to reduce your stress levels this time of year and really enjoy the season for what it is. This may not be a big deal for some, who have the money to hire people in to clean and get things organized, but for the rest of us, this can be a huge stressor. Starting early and creating lists can be a great stress reliever in the long run. Creating a list for house cleaning and completing each task can give you a sense of accomplishment and organization. Come up with a family cleaning plan for the holiday season, dividing the jobs between those in the family and holding them to their jobs. Of course this will require a team effort mentality, but if done properly can not only decrease your stress levels, but the levels of those who live with you. The best way to ensure stress free cooking this holiday season is to divide the tasks among family members. There is no reason in the world why one family should be responsible for feeding every single person in a large family. So make it a requirement that everyone brings a dish. Sit down and go over the dishes being made to ensure that all will enjoy what is being served. This will give everyone a sense of inclusion and at the same time free you up to relax and enjoy your family and friends. Early grocery shopping is another way to get a feeling of organization and accomplishment. Collecting coupons on items that you will need for the season can free up money for other unexpected items that come about this time of year. Utilize your freezer when preparing meals early, including items for large family meals. Now this is the one I had to learn from my mother. Every year, after Christmas, my mother would go out and purchase a ton of Christmas decorations. For the longest time I thought she was insane for doing this. Now that I have children and a home to decorate, it all makes perfect sense. The decorations are almost free right after Christmas, which gives you a better selection to choose from and also allows you to obtain a larger quantity of materials. Hitting those stores after the holiday is a wonderful way to let off some holiday steam and at the same time, get the preparation started for the following year. This last tip is the most important of all. The only way you are going to have a stress free holiday is to get some people put in line early. 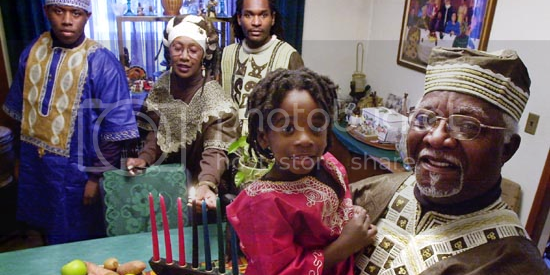 Its best to have a family meeting, letting people know exactly what you are expecting of them for this holiday season and what you will and will not put up with. Be honest with yourself and with your family about who you want to deal with and who you don’t and most importantly, create a safe place to retire to, in case of drama during the season. A place you can escape to and gather your thoughts, so that you can keep your composure in dealing with those who can be a bit trying. These are just a few tips that have helped me through the holiday seasons for the past several years. I hope you all find them helpful and use them in the coming days to protect your sanity in this holiday season. And if all else fails, make sure the liquor cabinet is stocked!